A lease is an agreement between a property owner or landlord and a tenant that is contractually binding. The tenant, or lessee, agrees to pay the landlord, or lessor, for use of a residential or commercial property for an established amount of time. A West Palm Beach real estate attorney can help you draft a lease agreement in accordance with Florida laws. It is important that lease agreements are as detailed and airtight as possible to prevent any misunderstandings or disputes in the future. Here are five steps to creating an effective lease agreement. Clearly identify who the lease is between in the lease agreement. Include the full names of the tenant and landlord, as well as the full address of the rental property being leased and the full mailing address of the landlord. When identifying the rental property, include its name if it has a proper name and its full mailing address. If the leased property is an apartment be sure to reference the exact apartment number. When stating the length of the lease agreement, be sure to use exact dates. State the day, month, and year the lease begins and the day, month, and year it ends. Avoid vague language such as “this lease is for one year,” this can cause confusion especially if the lease does not last for exactly a year. In Florida, in order to be protected under the Florida landlord tenant act, a residential lease can be for no more than one year. Specifying not only the full amount of rent due over the whole lease period, but also the amount due per month is essential when drafting a lease agreement. Write the dollar amounts of both the full and monthly rent values. Also, include the date on which the tenant must pay the rent each month. Disputes over the specifics of rental contracts are very common, and the best way to avoid them is by using language that is as explicit as possible. After writing the basic components of the lease agreement, it is advisable to add some provisions and clauses. These additional clauses can protect landlords from issues not addressed in the terms of a basic lease. Here are some common lease provisions. Security Deposit Clause – It is highly advisable to require tenants to put down a security deposit before they move into a rental property. This clause protects the landlord if tenants fail to pay rent or damage the property. As long as tenants abide by the terms of the lease, this deposit is fully returned to them after the lease period is over. Security Deposit Acknowledgement Form – This form will acknowledge the receipt of the tenant’s security deposit. Some states require this deposit to be kept in an interest-bearing account. In that case, landlords must specify in this form where the deposit is being held and the interest rate of the account. Tenants must be given a copy of this document 30 days after the landlord receives the security deposit. Pet Policy Clause – Detail the policy regarding whether or not tenants are allowed to have pets in the property. Clearly spell out rules regarding pets such as what types of pets are allowed, number of pets and the maximum weight of the pets. Additionally, include the fees tenants have to pay if the pet(s) causes property damage, as well as the expectations of pets and pet owners. Lastly, include the consequences for not following those rules. A lease agreement is meant to protect both the landlord and tenants. Therefore, it is important that the landlord should sign the lease, as well as all parties that will be living in the rental. All tenants over the age of 18 should put their names on the lease so that they are also bound by its terms. 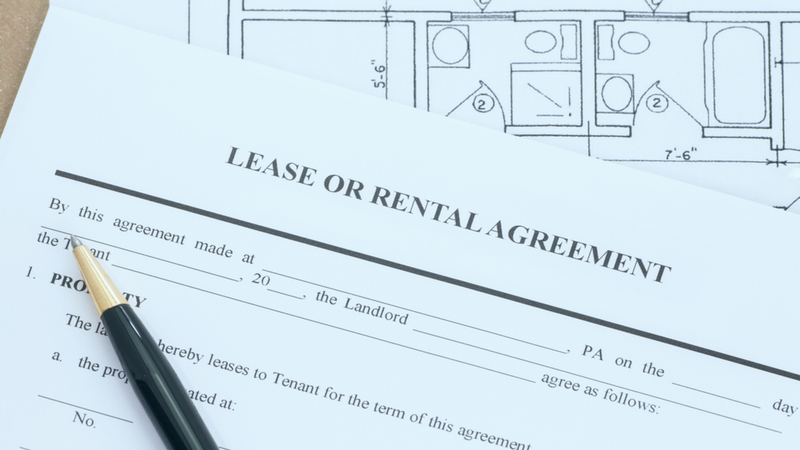 Often, landlords want to keep their lease agreements as simple and as short as possible. However, as they gain more experience with leasing out their properties, they find out that it is impossible for lease agreements to be that way if they are to be effective. Creating a comprehensive lease agreement that is binding can be a complex undertaking. If you are planning to lease your property, it would be helpful to have an experienced West Palm Beach real estate attorney on your side. Give our team a call today, we can help you with residential, business, and commercial leases.